Listed at $624,850, this townhome experienced such great interest from the market that our team approach really became critical in avoiding scheduling conflicts and we went under contract in only 14 days. Had we held out longer we likely could have gotten a higher price but the seller made the deliberate decision to move forward quickly rather than wait – a bird in the hand. Because of Lucid Realty’s full service, discount philosophy the seller saved $10,500 in commissions without sacrificing any services. We provided a wealth of market information before and during the listing period and two of us remained fully engaged during inspection, appraisal, and attorney negotiations. In fact, we went back to the property twice to prove that the inspector made two significant errors in his report. If you have a home to sell contact Gary Lucido at 312-738-0232 or email him. 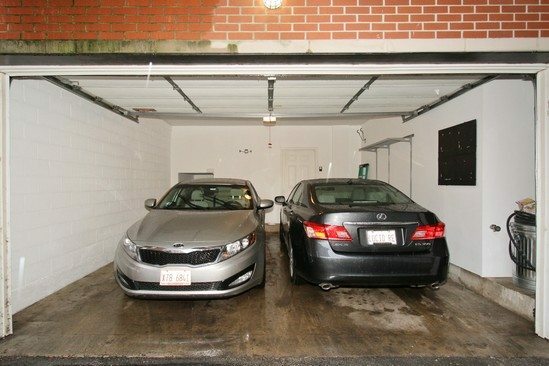 Step into this 3 level, 2545 square feet, 3 bedroom University Village townhome and be prepared to feel at home. 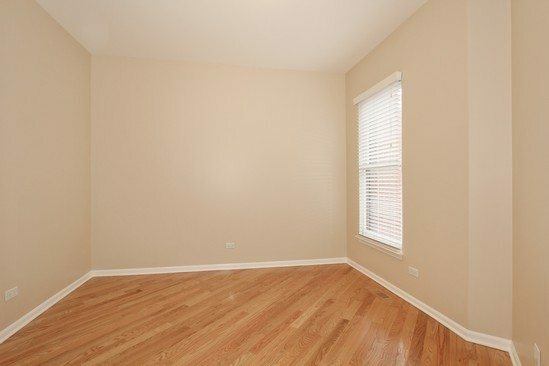 Freshly painted with new hardwood floors and plenty of upgrades. 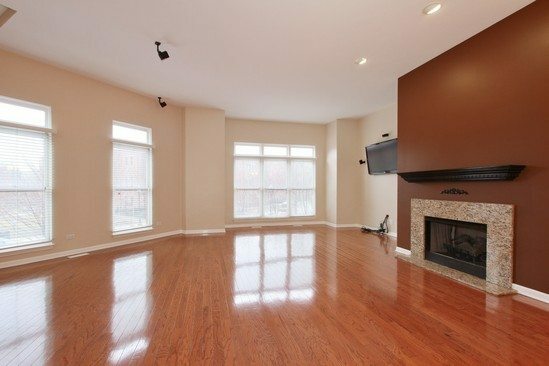 The first floor features a large family room/den/ office with hardwood floors and a full bathroom. 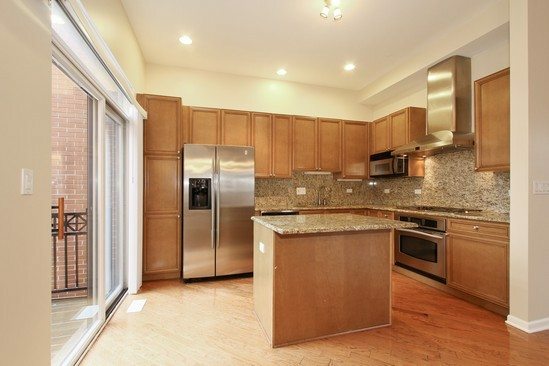 The 2nd floor features hardwood floors throughout, a large living and dining area and an upgraded kitchen that features granite countertops and GE Profile stainless steel appliances. The luxurious master suite features a walk-in shower & jetted tub. 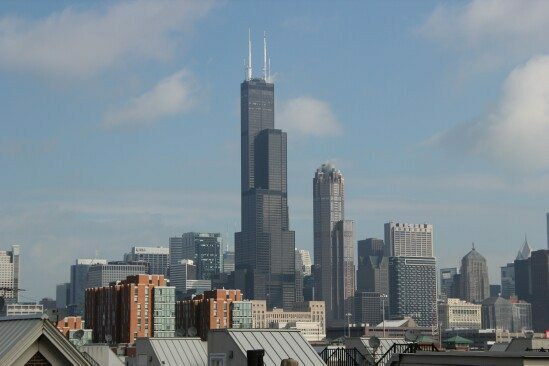 Walk up to your roof top deck for jaw dropping views of the city skyline. 2 car attached garage and 3 outdoor spaces. This is a move-in ready home that is just waiting for the discerning buyer who loves to entertain. 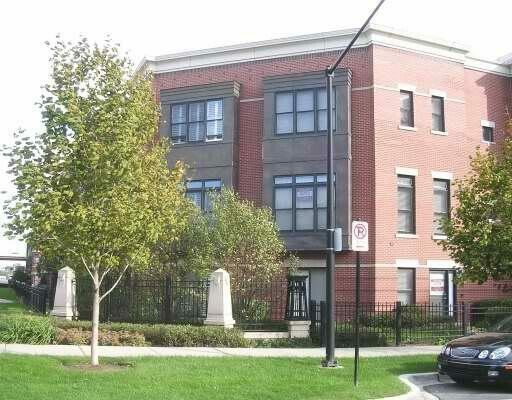 University Village is right next to the UIC sports complex with running track and tennis courts open to the public. 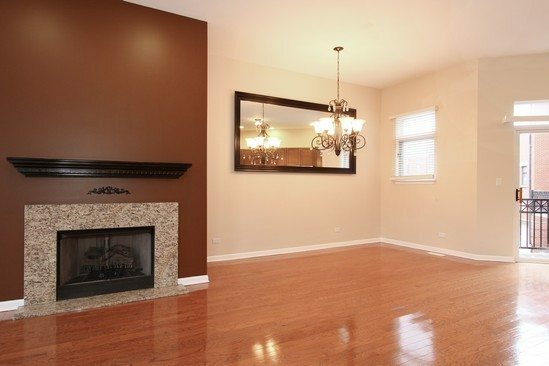 Step into this 3 level townhouse and be prepared to feel at home. 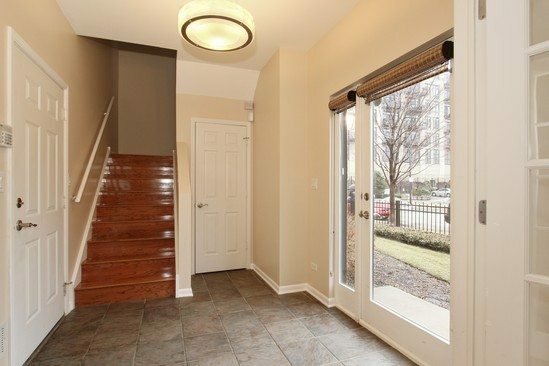 Foyer also opens to attached, 2 car garage. Slate tile floor is easy to clean when snowing or raining. Open the French doors and walk in to the new hardwood floors, glass sliding doors to the patio and a full bathroom. This the perfect location for your family room, office or a 4th bedroom with privacy. 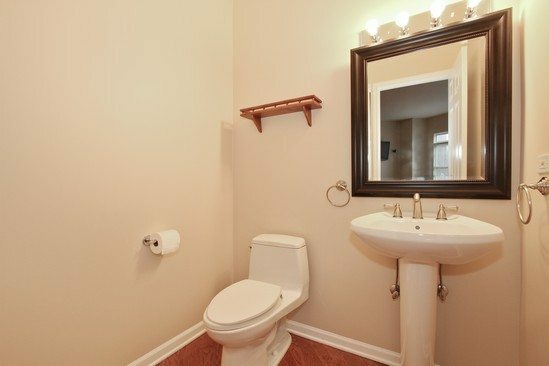 The first floor full bathroom is updated with neutral colors. 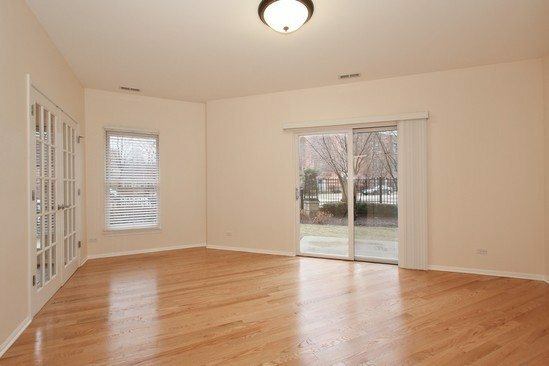 The bright living room boasts large windows overlooking the park that let in an abundance of sunshine along with hardwood floors, a gas fireplace, included surround sound system, and neutral colors. What a great kitchen. You’ll love cooking on the GE Profile appliance package. Granite countertops, maple glazed cabinets and an island with seating make this the perfect spot to entertain. Have a glass of wine on the balcony when you are done serving. Balcony includes a natural gas line for grilling. 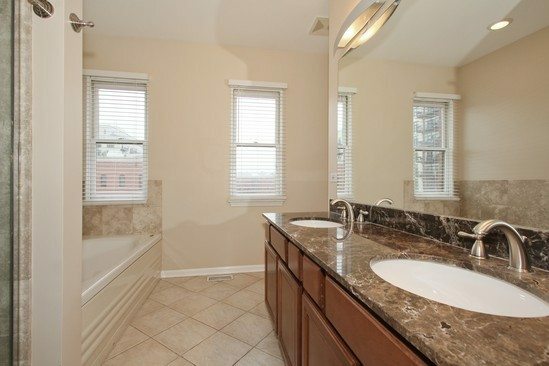 Hardwood floors and a pedestal sink to make good use of the space. Note that all 3 bedrooms are on the same floor. The master bedroom features new hardwood floors, wall sconces and a huge walk in closet with organizers that help you double the space. 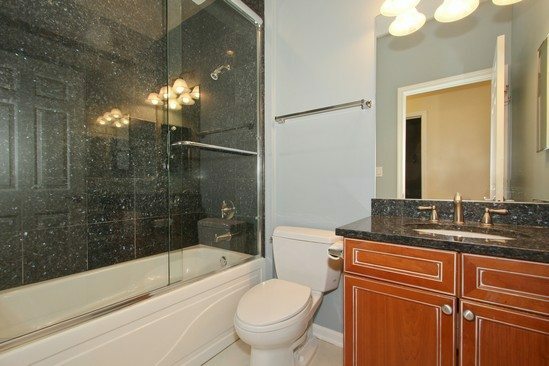 The master bathroom has granite countertops, a separate walk-in shower and a jetted tub. 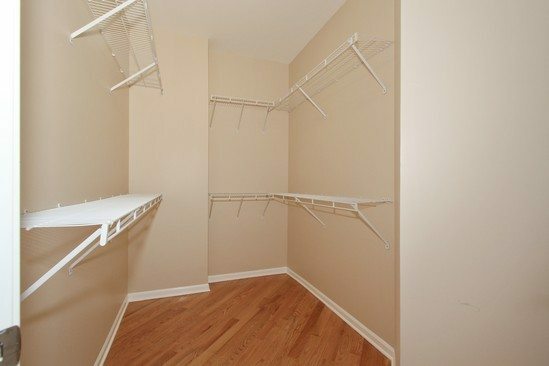 Great walk in closet with organizers to double your space. 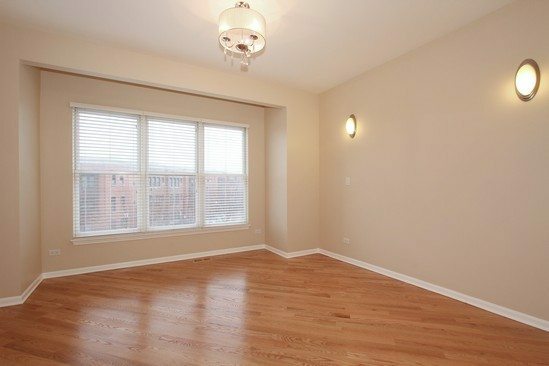 The 2nd bedroom features new hardwood floors and has windows facing east to enjoy the early morning sun. 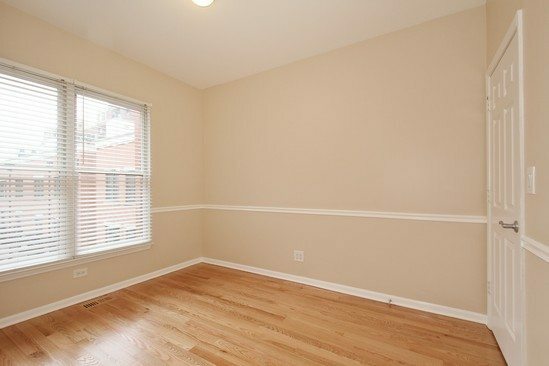 The 3rd bedroom is the same size as bedroom 2 with east facing windows, new hardwood floors, neutral colors and a chair rail. 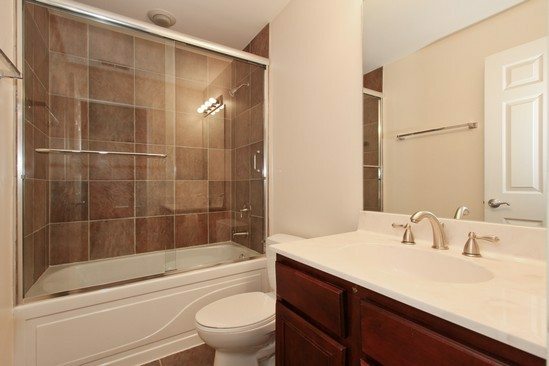 Across the hall from the master suite, this bathroom is highly upgraded with granite counters and granite walls for your tub and shower surround. Now walk your way up to the roof top deck and be prepared for those jaw dropping views of the city skyline. You can sit up here and grill if you like or read a book on a sunny afternoon. Not too many areas in the city will feature a full 2 car garage. Rest easy knowing you don’t have to look for parking.